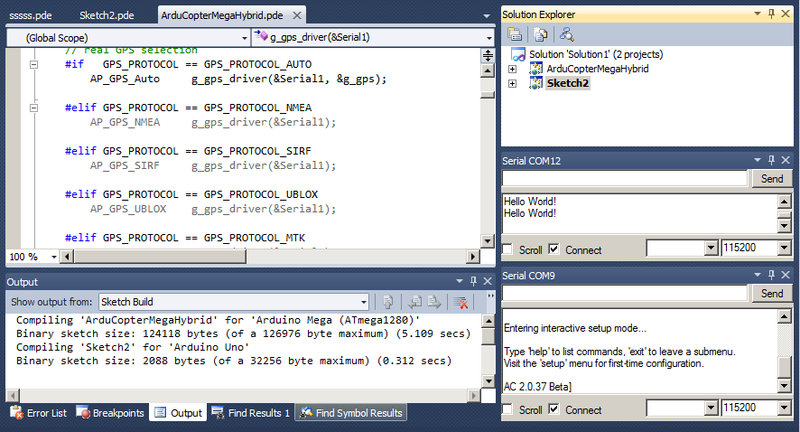 The Visual Studio "Tools" menu example below is taken from a machine that did not have a connected serial port. Multiple sketch projects in a single solution are fully supported. F5 will compile and upload the Visual Studio "Start Up" project. Board and Serial port can be selected for each sketch project.